UKIP’s Mark Reckless speaks to BBC’s Sunday Politics South East show following his general election defeat in Rochester and Strood. In two days people in Medway will be making a choice about who should be entrusted to represent them in the government for the next 5 years. This choice will determine how things shape up in Medway and in the country and whether life will continue to be a struggle or things will ease and whether we would see progress or stagnation. This right to vote is not just a privilege, it is a great responsibility. There is no choice of staying at home and saying – ‘Nothing will change, so why vote.’ If you say that, you are underestimating your voice and by doing so, you forfeit the right to demand accountability from your leaders. When you cast your vote, it is important to remember that you are voting for people not just Parties because, ultimately, it is the people and their ethos that count. You want a strong MP who will stand by you, your interests and values even if his Party may not approve it. Someone who believes that his hometown is where he belongs and remains loyal to his supporters even though placed in an ivory tower. Someone who is tried and trusted and has not belied hopes. 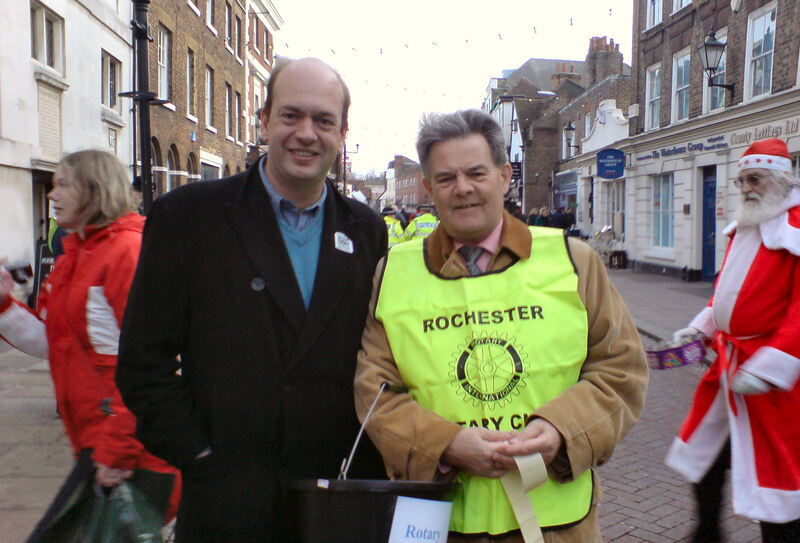 Someone who is Mark Reckless! 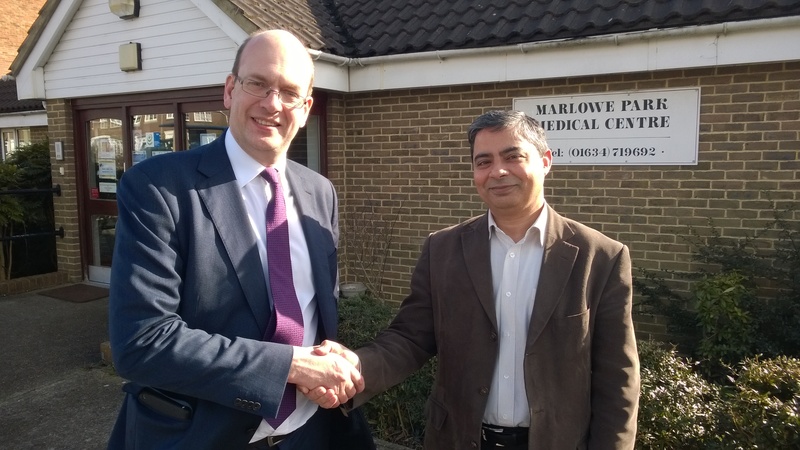 We at Marlowe Park Medical Centre remember your hard work and stand by you – go for it Mark! 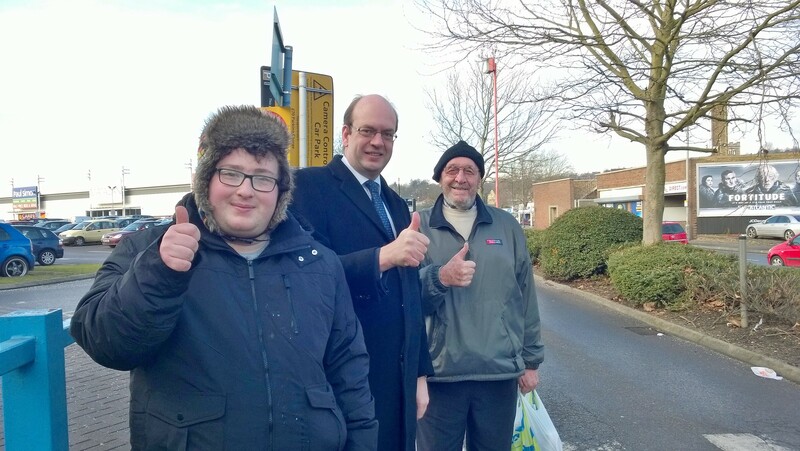 Mark has been privileged to serve with Councillor Ted Baker as a ward colleague. Ted is standing down at this election after over thirty years of service to Medway Council and the old Rochester upon Medway Council. Ted twice served as Mayor of Medway, in 2001/02 and again in 2011/12, and has been Deputy Mayor on five occasions. “Over the past 15 years Ted has taught me a great deal about Rochester and its history, as well as always putting constituents first. I am grateful to him. Many reading this will want to join me in wishing Ted and his wife Sylvia a very happy retirement”. 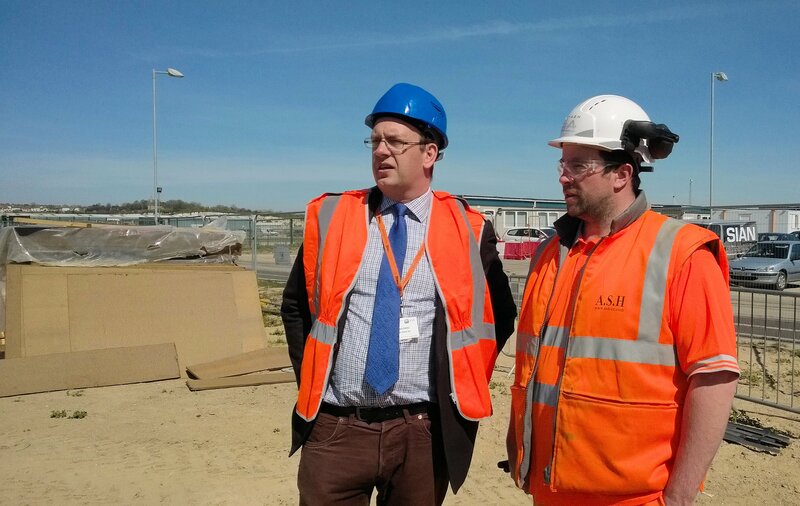 Earlier today I was the guest of Network Rail at Rochester’s fast-emerging new station. I am grateful to Sara, Mary and site manager Tony for showing me around this amazing project as it speeds towards completion. All is on schedule for the station’s completion and the introduction of a new timetable by 16th December. This should include two extra 12 car trains per hour during the morning peak with more trains stopping then at Rochester, the fruition of a long-term campaign for me. Crucially, it was confirmed to me today, that there will be continuing scope for reduction in journey times to London after December. Some trains may be a minute or two faster from December. However, greater time reductions should be in prospect thereafter, with line speeds potentially being increased as the safety and reliability of the new signalling system is proven. Trains running 3-4 minutes faster to London would be great for Rochester, the wider Medway Towns, and all the way down the line to Ramsgate.